Who am I in relation to others? Have you felt the wonderful energy the last few days? 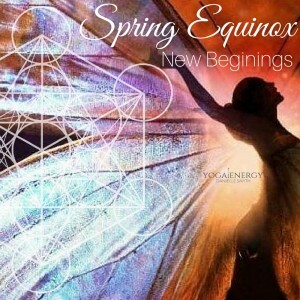 The Spring Equinox (northern hemisphere) was on last Sunday 20th March. It is the beginning of the Zodiac Year embracing the Aries energy – a great energy to help propel us forward, get proactive, start spring cleaning and airing out the old winter making space for the Spring to come. This week doesn’t just have the initiating and powerful energy from the Spring Equinox, it also has the Full Moon and a Lunar Eclipse! Nice! Full Moon is a time of intensified emotions, everything that may be buried comes to the surface for a cleansing. You may feel more emotional or excited at a Full Moon. Whether you are feeling a little low or flying on all cylinders – the Full Moon is certainly playing the puppeteer with you reactions, so be mindful and find space to let out the excess energy that may be spilling over in you this week. Sleep, or the lack of it, is almost always a sure sign of the Full Moon. Many note that their sleep pattern gets affected at the Full Moon. This is due to the heightened mental energy – ideas, thoughts, stresses or excitements – that fill your mind. Equally your body may feel like moving more to release this surge of vitality. This Full Moon in Libra, which may trigger a focus on your relationships and your dealings with others is calling for compassion and forgiveness. Full Moon is a great time to let go, to release the excess or the dead weight that is holding you back. Forgive others so that you can be free of the energetic ties that you (and probably only you) are holding on to. Forgive yourself for judgement on others and yourself that has put you down and taken away from your light. Compassion is a wonderful emotion, if only kept for yourself at least you are be kind within. But compassion put into action is even better for you and the benefit of those around you. Therein lies the theme of this Full Moon and Eclipse in Libra happening at the start of this zodiac year with Aries: Who are you in relation to others? What difference does your presence make on your surroundings? Realise that you are a reflection of others, and others are reflecting you abck for you to see. Compassion for the cycle of our society and what it teaches us can help you get through this Full Moon and Eclipse. Another point to reflect on this week is to focus on the Earth, our home. The land that supports us and the air that fills us with life. Respect the Earth and again show your compassion to her. For she needs our love and respect now more than ever, and a little love towards our planet can go a long way. This Easter is a perfect time to share this love and compassion and offer healing to Earth. Wherever this holiday takes you find the time to honour your home and the land that surrounds you. Get out in nature – Walk, run, hike or play! Awaken your heart with Sphinx Pose – let go of your need to think – just be with your body. Dancer Pose: a perfect graceful balancing pose – ideal for harnessing the Libran energy. Any balance pose will work here – think of the scales that represent the Libra. Find balance in your stance. Cool down with some soft forward bends that elongate your back, targeting your lower back stretch and a good cleanse on your kidneys. Try Janu Sirsasana to stretch the side of your lower back. Meditate on your heart beat. The compassion we are harnessing for this Full Moon begins here, in you. Place your hands at your heart and breath deeply, get yourself into a space that you can feel and perhaps hear your heart beat. love and appreciate that connection and let that energy radiate out to your space around you and to those who cross your path. End with a deep relaxation and meditation on the above insight. Perhaps even cover the eyes with an eye pillow for Savasana – ahh bliss! Time to clear our crystals with the Full Moon light. Place your crystals in a grid that perhaps represents compassion for you. Set an intention to let go of unwanted energy that is no longer serving you or your crystals. Forgive those that need it – including yourself. Write it out and place it with your grid. Bless your crystals and give them thanks, for they are enhancing your energy and the space around you. Appreciate all that they do for you. If you have been a little nonchalant with your crystal care then don’t fret now is the ideal time to take them out, dust them and give them a super cleanse. Let them bathe in the Moon’s light and be recharged for your benefit. Your crystals need a big spring clean too! Enjoy this energy – it sure is quite a week of big events! Become more than just you and your current situation. Be present with this energy, you and others, you and our Earth. Share the load, forgive and have compassion!